Think of wards as pieces of a pie. 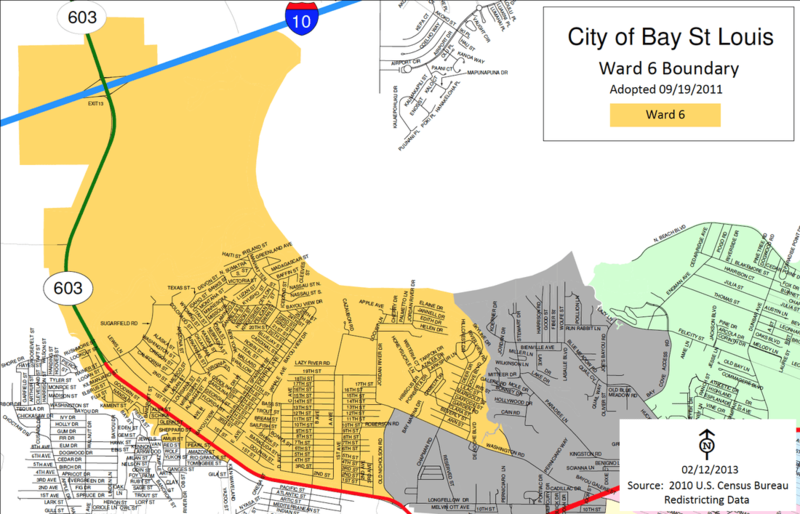 Bay St. Louis has been split into 6 different pieces called wards (aka "districts") and each has its own city councilperson to represent it. 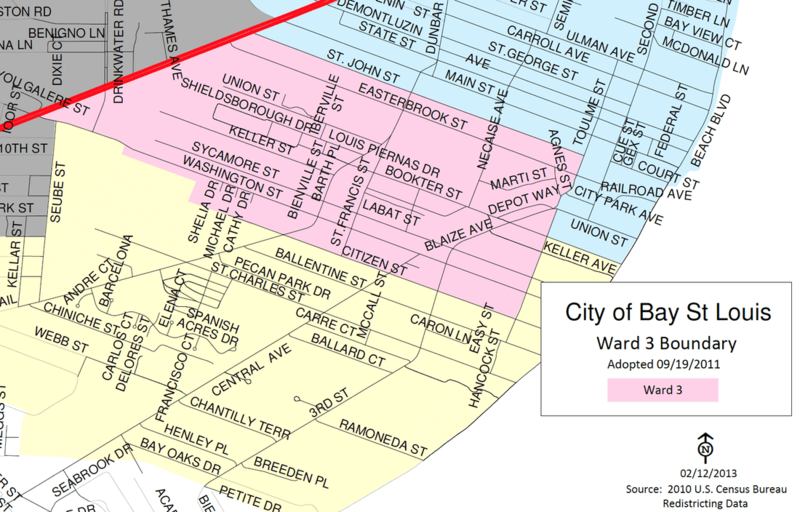 There's also an "at large" city councilperson who represents all citizens of the city, regardless of where they live. The maps below show the individual wards. 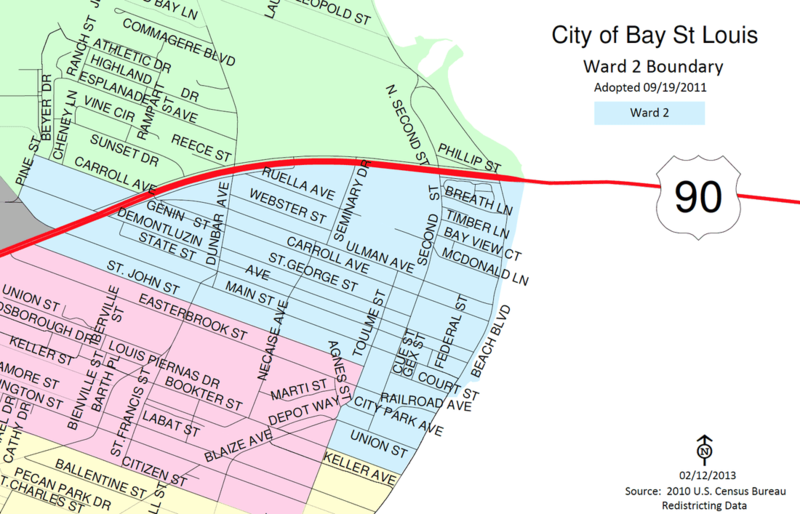 You'll also find the voting locations for each ward (with links to help find them!). Click on any map below to "Super-size" it! Give it a minute to load (especially with slow internet connections). These are huge files that contain lots of detail. You should even be able to see your street on the local ones. You can also download these onto your own computer or device. Click on any map below to "Super-size" it! 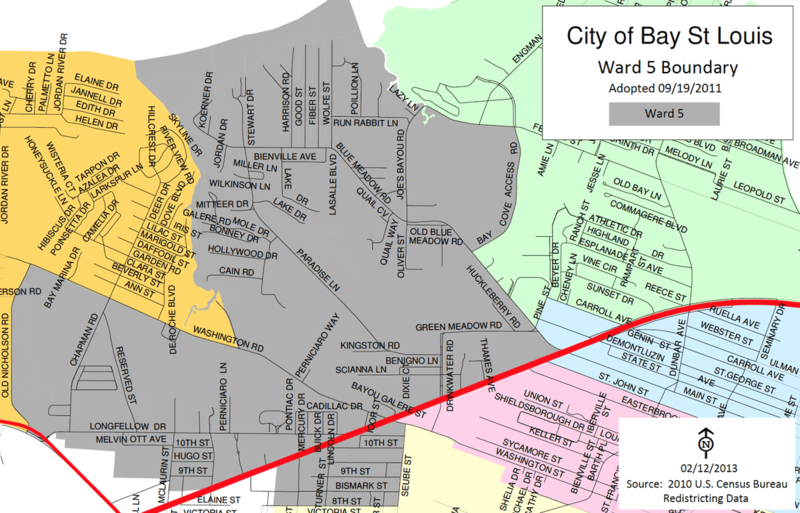 If you live in this ward, you'll vote at Bay High School, 750 Blue Meadow Road. Click here for map. 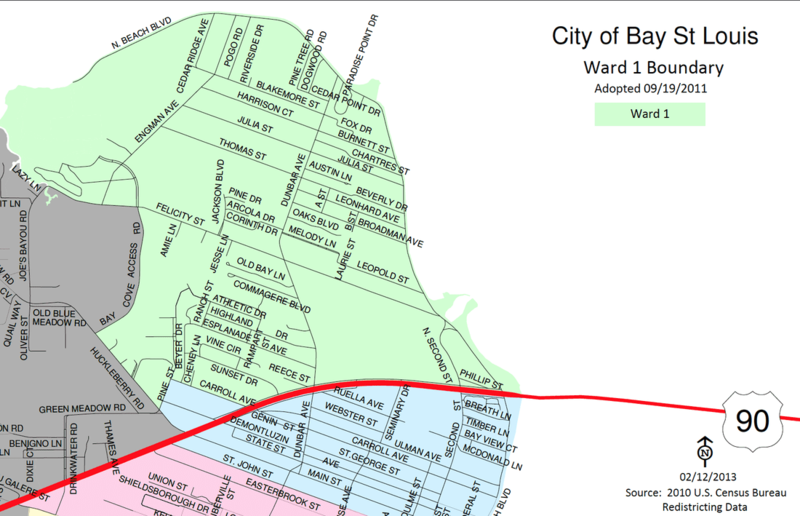 If you live in this ward, you'll vote at the Bay St. Louis Library, 523 Ulman Avenue (alternate address, 312 Hwy 90). Click here for map. 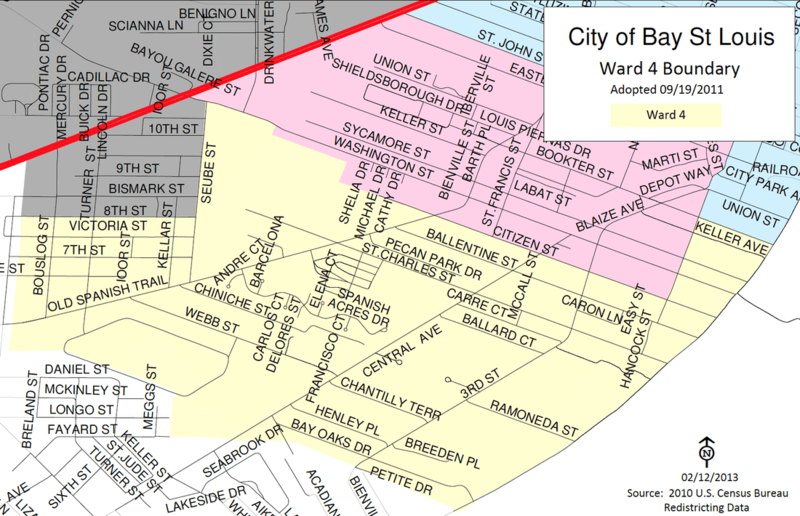 If you live in this ward, you'll vote at American Legion Post 139, 645 Blue Meadow Road. Click here for map. 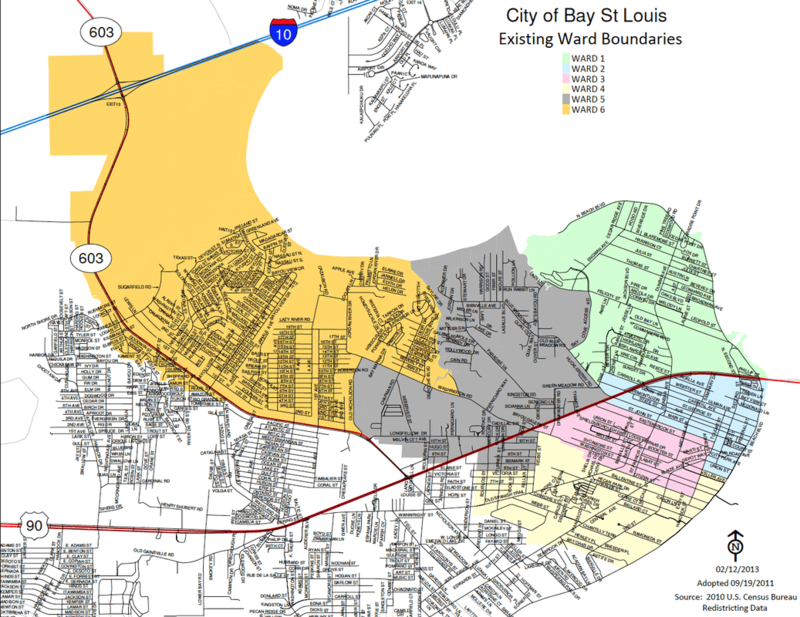 If you live in this ward, you'll vote at Bay St. Louis Fire Station No. 2, 9998 Hwy 603. Click here for map.